Does this sound like your life. 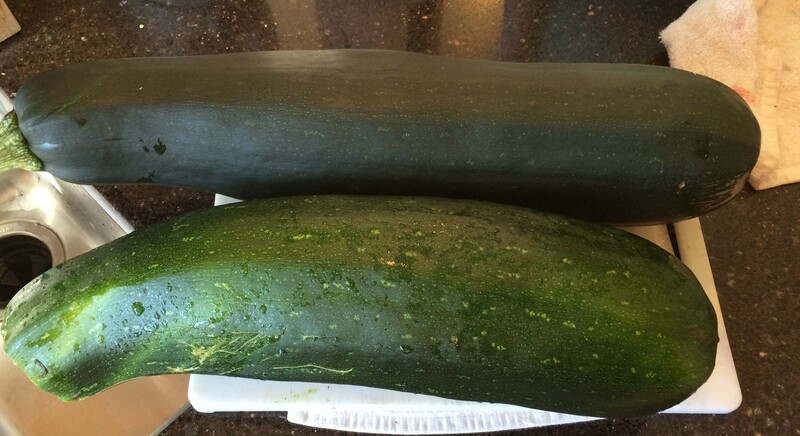 grate the two huge zucchini with plans to make bread, brownies, and patties for the freezer. 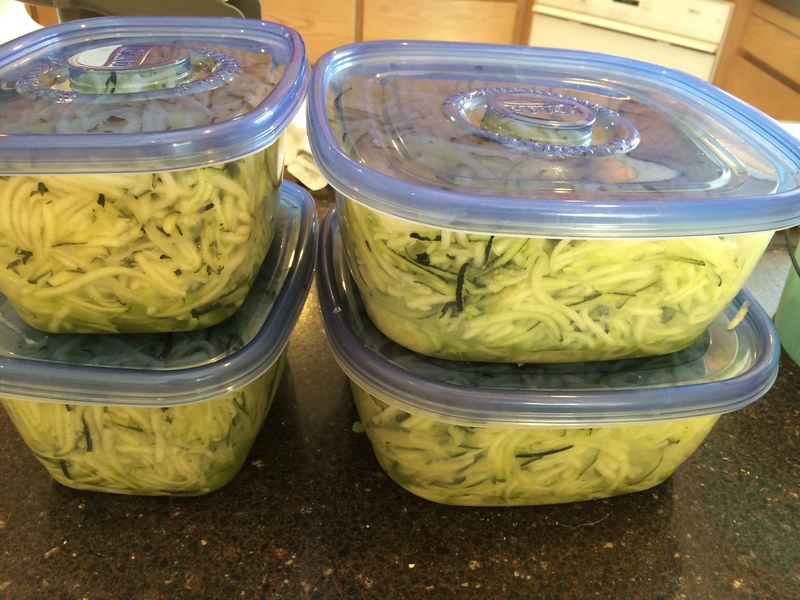 It grated into 3+ gallons of zucchini. I refrigerated that for later use. 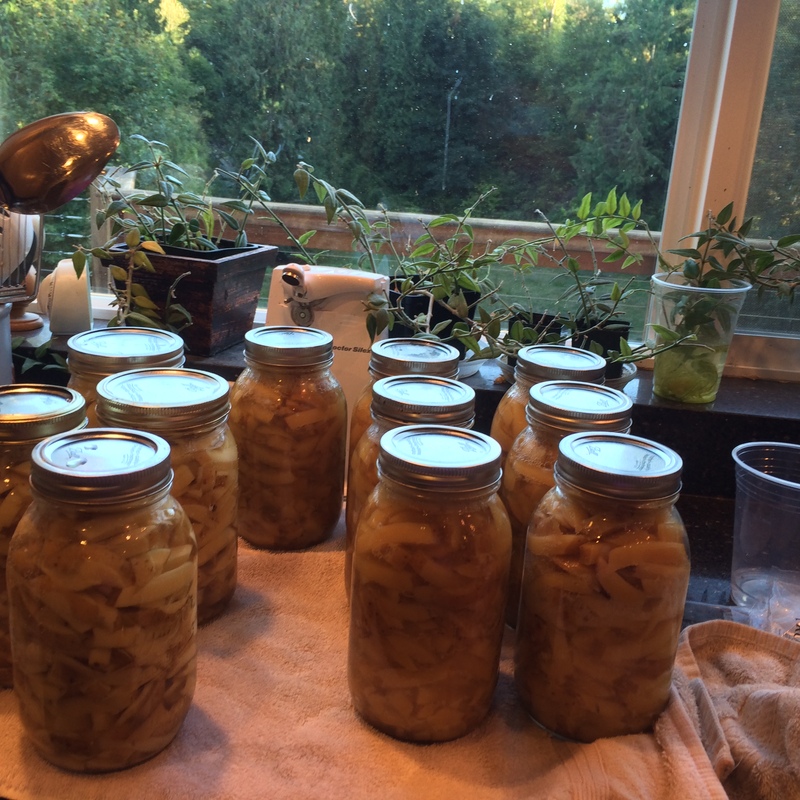 Next I get out the jars and other canning supplies to can the potatoes. About then DH would like to eat at his favorite local Mexican restaurant. 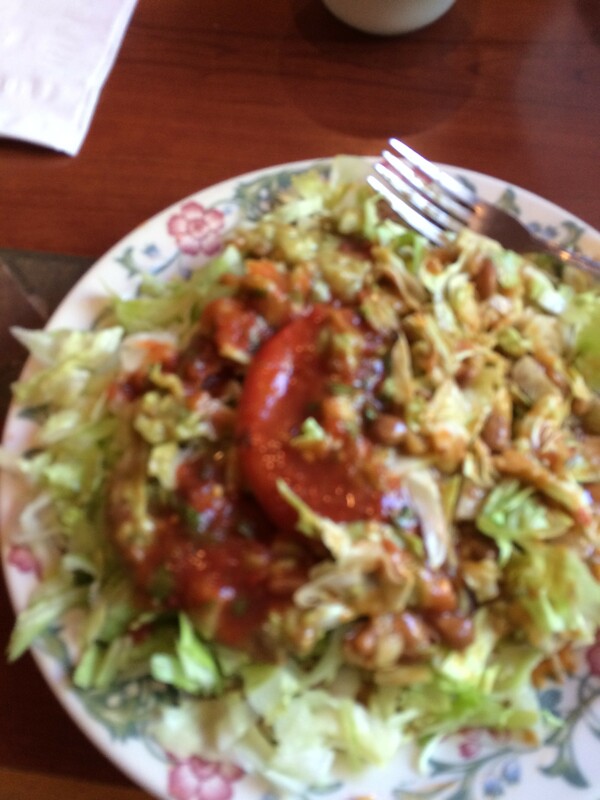 I had a large tostada with beans, lettuce, tomato, and guacamole. We get back just in time for a conference call I agreed to attend. Oops, lasted nearly 2 hours instead of one, and then another 1/2 hour phone call. Wow it’s 3.30 and I haven’t accomplished much yet. 14 quarts of potatoes.. The plan is to do another 14 quarts tomorrow plus the zucchini products. 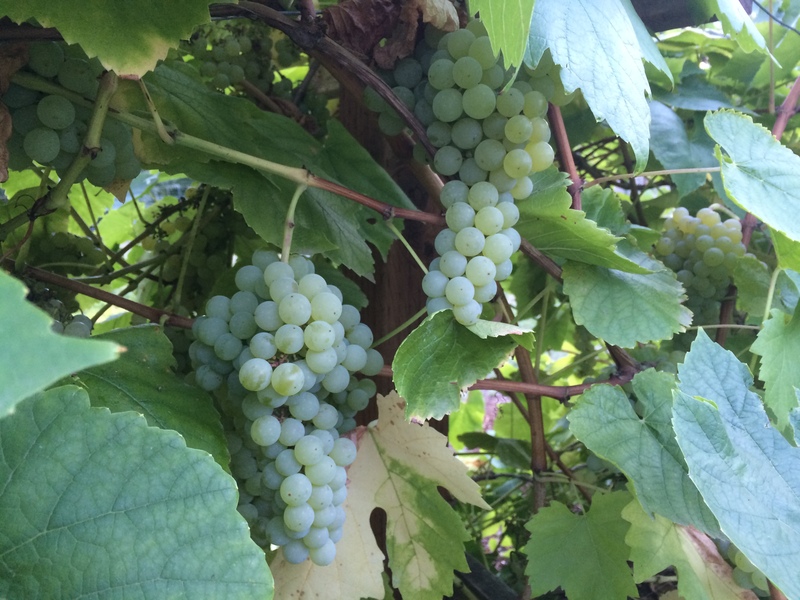 While I was waiting for the pressure canner to heat up, I went out to check the grapes which are small this year, but that’s probably because we didn’t know how to prune them I am thrilled and delighted with the sweetness. They are so wonderful. I filled the bowl I took with me and will finish picking them tomorrow. So I get to the end of my day and there were more things I wanted to get done than got done. In fact, I feel as if I am swimming backwards. If I could get going a bit sooner in the morning and not have phone conferences……………but then tomorrow there is gym, then a drive out to get a loom someone wants to find a home for which I’m sure will consume 3 hours, then to finish picking the grapes and canning the potatoes. There is no time in this schedule for housecleaning and gardening and so the garden suffers a lot and we won’t talk about the house. Oh, and there are still carrots and beets, to get done in the near future and applesauce after that.